Like so many other fathers nowadays, because of the busy and irregular working hours I have (the sad life of a self-employed plasterer bring out the mini-violins! ), I am not able to spend as much time with my kids as I would love to. So I try to use every free moment to spend some quality time with them. As a father of four children, Christopher (7), Suzanne (6), Anthony (4) and baby Crystal (1), it gets harder to keep their attention equally and I need more energy to follow tempo, preferences and needs of each one of them. 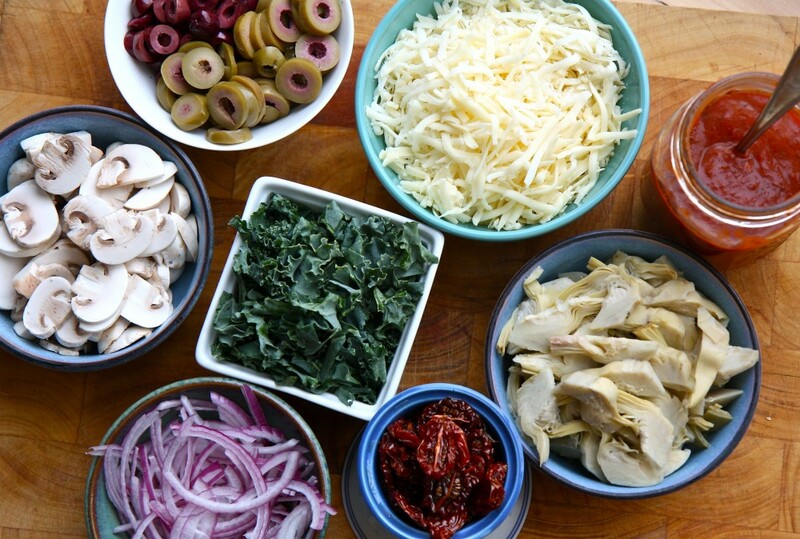 But I have found one activity that helps me in handling all of them in funny and useful manner while I am sparing my wife from making dinner- preparing homemade pizza. Christopher and Anthony hard at work.. 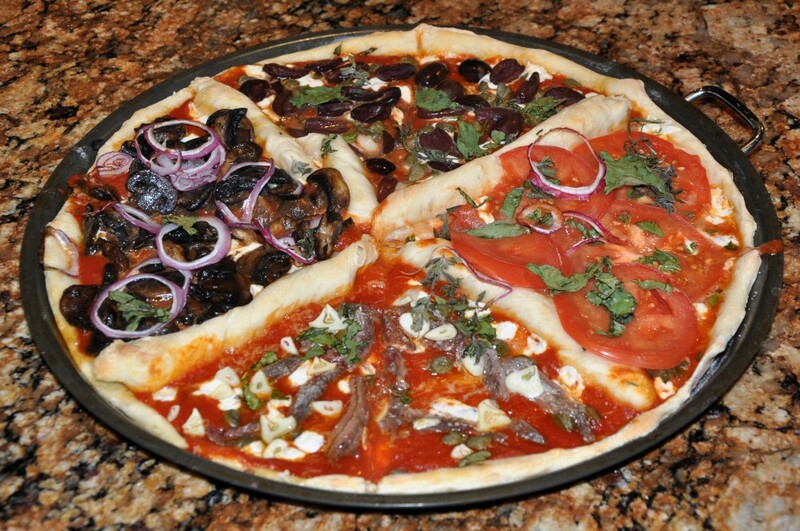 There is no better food in the world than a homemade pizza. I can still remember the smell of Mom’s pizza when I was entering into house after playing outside. Poor women… She had to hide a casserole so I don’t touch pizza with my dirty hands as I always found going to the bathroom, washing my hands and going back to the table as incredible waste of precious time for eating my favorite food. Years passed and I still like pizza with the same passion so I have become professional in preparing it. Christopher and Suzanne have been assisting me in pizza preparation for a couple of years and Anthony recently joined us. Crystal is always there where I can see her and she is always occupied with watching what her brothers and sister are doing. This is a great opportunity for all of us to spend more time together, have fun and learn something new at the same time. Homemade pizza is a good solution if your kids are picky when it comes to food because kids will definitely eat what they have made on their own. 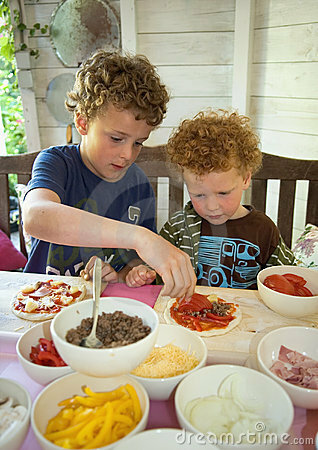 Now, my children have their own pizza toppings preferences; Christopher always wants olives on his pizza, Suzanne likes really thin sliced mushrooms while Anthony is ham lover. However they all accepted the rule that there should always be a piece of vegetable on pizza: broccoli, onion, spinach or any other roasted vegetable. Normally my wife and I cannot convince the older ones to eat these vegetables in another meals, but when it comes to pizza, they eat it without a problem. Anthony even reminds me of vegetables as obligatory ingredients and how good they are for his health and for him to become big and strong. Definitely their favorite pizza is ”Quattro stagione” pizza. I give the assignment to each of them in terms of who will add flour, water or salt. When the pizza base is ready, I divide surface area on four parts and give each of them the chance to decorate their own part. I have a lot of fun watching them how they are trying to be different every time, use various ingredients and compete among each other about whose part will be better. Competition is pretty intense between Christopher and Suzanne, while Anthony just follow hıs own ideas and really enjoys in it. Once in the oven, the pizza is being baked with all their attention: they watch it through the oven window, feel its smell, watch the cheese melting and keep asking “”is it done already”. Once on the table, they are given ketchup and mayonnaise to draw whatever they want on their pizza slices. So the kids had fun, did something creative, I made them feel useful and we had a laugh together. And all I did was get them to make their own dinner!